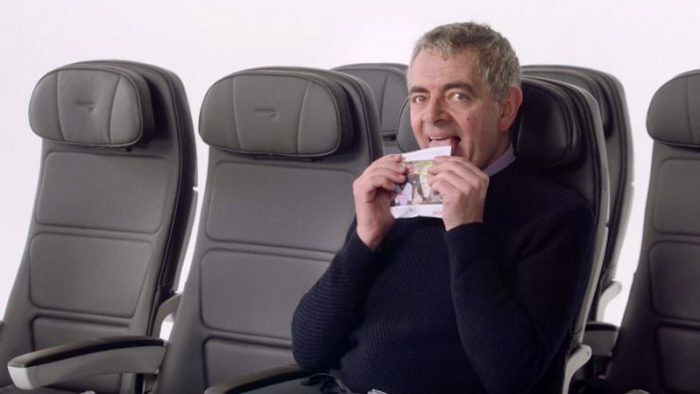 British Airways is back with their latest campaign, featuring some of Britain’s best-loved personalities, including Gordon Ramsay, Sir Ian McKellen, Thandie Newton, Rowan Atkinson, and others. It is quite different from the usual British Airways campaigns, which are emotional and tearjerkers. The new film has been designed to help customers absorb important safety messages while boosting fund-raising for ‘Flying Start’, the global charity partnership between British Airways and Comic Relief. The story revolves around, celebrities auditioning in humorous sketches in front of comedian Asim Chaudhry for a coveted part in the airline’s new safety video. Rowan Atkinson’s appearance, in the end, not only provides a comic relief but also sends the message to donate. The campaign which was uploaded on July 18 has already received 1.4 million views on YouTube. Social Samosa takes a look at some of the best works done by British Airways targeting the Indian audience over the last few years. This year, in the month of May, British Airways touched hearts through their emotional campaign ‘Discover the London you don’t know’. The story took the viewers on a journey through the eyes of a young man from Chennai who discovered his grandfather’s journal. He relived his grandpa’s time in London, discovering the city he did not know. The film has clocked 1.9 million views on British Airway’s YouTube channel till date. In 2016, British Airways came out with the campaign ‘Fuelled by Love’ targeting the Indian market. The story was based on a real life incident of a UK based cabin crew member who develops a special bond with one of the customers during her maiden trip to India. It was conceptualized by Sapient Nitro and directed by Neeraj Dhawan, the critically acclaimed director of Masaan. The video went viral and earned a lot of positive response for it. The campaign has clocked more than 3 million views on British Airway’s YouTube channel till now. British Airways released their ‘Go Further To Get Closer’ campaign for Valentine’s Day in 2014. It is a story of Sumeet Gupta and how the airline helped him surprise his wife Chetna by giving them an opportunity to get a break from the daily humdrum and come closer to each other. The aim of this campaign was on introducing India specific initiatives to enable the international airline to create an emotional connect with the audience. The video has garnered more than 2.8 million views on the airline’s YouTube channel so far. The heartfelt commercial narrated the story of a mother from India and her son Ratesh who were united by British Airways. Ratesh moved from India to New York when he was just 17 and he longed to have his mother’s homemade bhindi. Based on this insight, the airline decided to give his mother a beautiful surprise by planning a trip for his son back home, so that she can prepare his favorite dish and feed him. The video has 1.9 million views on YouTube till now. In 2014, the airline launched their campaign titled ‘The Welcome of Home’ which was designed to engage the Indian expatriate community. It beautifully highlighted the emotional journey that Indian expats go through and long to see their family back home. It is the real life story of Chitra and family as they prepare for her much-awaited trip home to India. British Airways as a brand has managed to decode the art of storytelling over the years. While this is just one brand, stay tuned for Social Samosa’s Yearbook of social media campaigns, a handy guide of milestone campaigns created in 2016-17. In the mean time, tell us about your favorite British Airways campaign. Write to us at team@socialsamosa.com or mention them in the comments below.